Around five years ago, a film named Tanu weds Manu hit the silver screens a more than a decent film. Tanu Weds Manu Returns, is obviously a sequel of that. Trust me, I am no sequel lover, but to have a sequel with such interesting plot was unimaginable. A crowd pleaser is a film that induces seeti and taali from the audience, making sure they go back home feeling they have spent their money on something cheerful. it’s one of those films. The story takes off from the point where the original ended (unlike ‘happily ever after’) with the nostalgic wedding day of Tanu and Manu, with the iconic ‘Sunn saahiba sunn‘ track playing in the background. Right from the word go, the film’s director Aanand L. Rai successfully hits the right cord. The opening scene itself is so interesting that the audience is completely taken in. The moment Tanu (Kangana Ranaut) is seen talking in her patent Kanpuriya style while visiting a medical centre, as she feels her husband of four years, Manu Sharma (R Madhavan) is mad, the audience just can’t help but burst out laughing. And what happens thereafter is something which is for you to find out on your own. Himanshu Sharma has written an excellent story with twists and turns galore to keep the audience involved and engaged throughout the drama. The screenplay is extraordinary. It is interesting, engaging and is laced with excellent humor which keeps the viewers thoroughly entertained. The entire drama unfolds so remarkably seamlessly, that it looks that it has been created, yet the simplicity and honesty with which the drama unfolds keep you in splits throughout with your attention intact, scene-per-scene. There are a number of scenes which remain with you long after the film is over. The dialogues are gems. They go straight to the heart and strike a chord. Another fantastic point about the screenplay is that though it has a triangular relationship situation at some point, the audience’s sympathy goes to all three. That’s the victory of the writer! Aanand L. Rai’s direction is superb, his narrative style is simple, he doesn’t let boredom creep in for even a minute and thirdly, he has recreated the atmosphere of a family drama splendidly. The editing is razor-sharp and the results are praiseworthy. This film is yet another reminder of the expertise with which Anand L Rai handles small town stories like he did in ‘Ranjhana’. The filmmaker through humor has even touched some serious social problems ranging from inter-caste marriage, honor killing, IVF baby etc. In a scene, a wife doesn’t want to tell her husband that their kid was born from artificial insemination because “Ye log mardangi bhi to sperm count se naapte hain, ego hurt ho jayega”… narrates it all. The characterizations are superlative and nobody moves out of his character ever. Madhavan does a splendid job knowing exactly how to underplay his part so as not to get in the way of the film’s intended emphasis. It is his simplicity and realistic approach to his character that makes him endearing. Jimmy Shergill plays marvelously as Raja Awasthi and he looks adorable with that tinge of ‘bhaiyagiri’, however, this time in a much more mellowed version. Kangana Ranaut delivers yet another riveting and award-winning performance, this time in a double role. She gets into the skin of both the characters so effortlessly that it is difficult to imagine any other actress doing so as beautifully as her. The actress fleshes out this pair of distinct individuals with such energy and finesse that it becomes difficult at times to tell that it is the same actress playing the two roles. In one word, astounding! With this film, Kangana proves that there is none quite as good as her today, be it acting, charm or style. Kangana is currently in a zone where she can do no wrong. But you just can’t escape Pappiji! 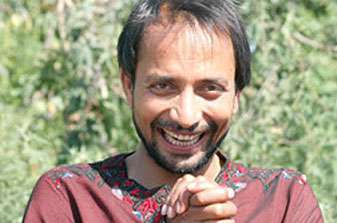 Deepak Dobriyal is absolutely amazing with his character of an idiot, his one liners are absolute epic, evokes laughter every time he comes on the screen and his sense of timing is outstanding. This time, the actor has been given much more screen space than the original and yes, he does stand out in the film. Despite it being an almost flawless film, it has a few gaffes too. For instance, the couple seeks marriage counseling in a mental asylum among Hindi speaking British doctors; or when a ridiculous kidnap takes place. This kidnap victim conveniently disappears and no one seems to notice, not even her Sardarji brother, who followed her in a convoy of Pajeros. Instead, everyone gets involved in another wedding. The best part about this movie, however, is that none of these flaws actually hamper the hilarious and rooted narrative. The brilliant performances of al the actors, main and supporting, along with the colorful frames and rustic dialogues ensure a laugh riot. If you want to go nitpicking and zoom in on the faults, you are a bore yourself, like Suprateek Chatterjee who calls this drama a regressive film in Huffington post. Music is good but could’ve been better. The end of the film is absolutely conventional. One leaves the auditorium with a smile on the face, having witnessed the misadventures of loveably high-spirited characters, who thrive on confusion. The film is a treat for everyone, those who watched and loved the first part and the ones who have not. Go grab a ticket and get swooned. Narendra Modi pushes even SCOUNDRELS to resort to patriotism ! !